in memory of Fr. William Brennan, S.J. 1920- 2014. A prophet for social justice and equality, including women’s ordination. One of the most prized dishes in Chinese cuisine is called “The Monk Jumped Over the Wall.” It takes its name from the folk belief that the monk was unable to resist the aroma of this delicious dish as it was being cooked and jumped the wall in search of it. They jumped the wall. And there’s no putting them back behind it. One nun, though, has accepted being put behind bars for literally breaking through the fences around the nuclear facility in Oak Ridge,Tennessee. Sr. Megan Rice is unrepentant. And unfazed by clerical disapproval of the causes nuns have adopted. How long before the institutional church understands that? How long before the bishops see what lay people see: the Gospel come alive in the community through the work the sisters do, usually unheralded. They are mending, always mending what Sr. Simone Campbell, an important champion of the Affordable Care Act, likes to call the “broken hearts” of those who live on the margins. The bishops call this work radical feminism. Piazza tells us about Sr. Jeannine Grammick’s pioneering LGBT ministry. That work of reaching out to LGBT Catholics who had felt shunned, celebrating the Eucharist with them and walking with them in their struggles prompted so much clerical harassment of her order that she chose to leave the School Sisters of Notre Dame. 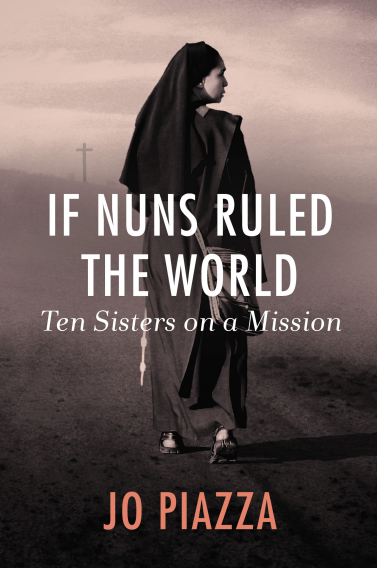 She then joined the Sisters of Loretto—where the bishops’ disapproval followed – but did not stop her. 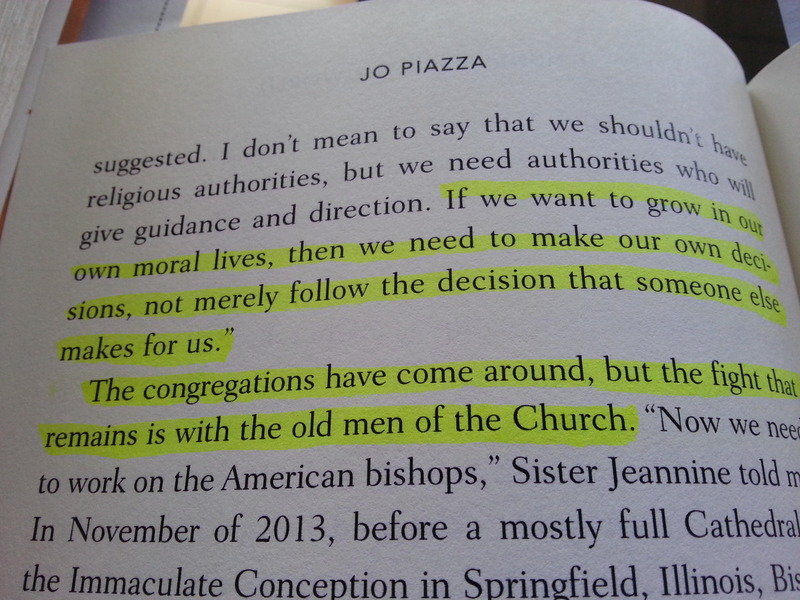 The obstructionism of men in high places does not faze Sr. Nora Nash either. As Director of Corporate Social Responsibility for the Sisters of St. Francis, Sr. Nora publicly challenged Lloyd Blankfein on the ugliness of the fact that he—and other senior Goldman executives make more in one day than most workers make in a year. “In a way worthy of the gospel of Christ,” she charges right in as Jesus did among the merchants trading in the Temple, holding corporations accountable, introducing stockholder resolutions on wages, labor rights, child labor, predatory lending, fracking and more. The sisters, it seems, have figured out how to be both. These women are inspirational. It must take a lot of courage and a powerful faith in the teachings of Christ to challenge Church leaders to live up to the scriptures they preach. True heroism and sacrifice.